Why Not? A Paradigm Shift. The inspiration for this month’s post came during a conversation with my dad this week about how we approach life. He quoted Robert F Kennedy who said “there are those who look at things the way they are, and ask why…I dream of things that never were and ask why not?” This resulted in a paradigm shift for me. My world view and my role in it changed. Why not…? Why not me? Why not be the change you want to see in the world? Why not be part of the solution? So many why nots?! We ended the conversation with me feeling liberated and empowered to reflect on and embrace my unique selling point (USP). So what is my USP I hear you ask? While I’m still on a voyage of discovery, my current USP is that I approach life and research from a humble perspective. As I tweeted recently, the greatest lesson I’ve learned is that I still have a lot to learn. In my pursuit of knowledge and wisdom, I fully accept that I will and must learn from anyone and everyone. This is because there are multiple constructs of reality and each persons’ reality is valid and to be respected. I look for the similarities between us and build on these! Isn’t it amazing to think that we are all so similar and my firm belief is that if we speak the universal language of kindness, compassion and respect, the world will be a better place. There are exciting times ahead. 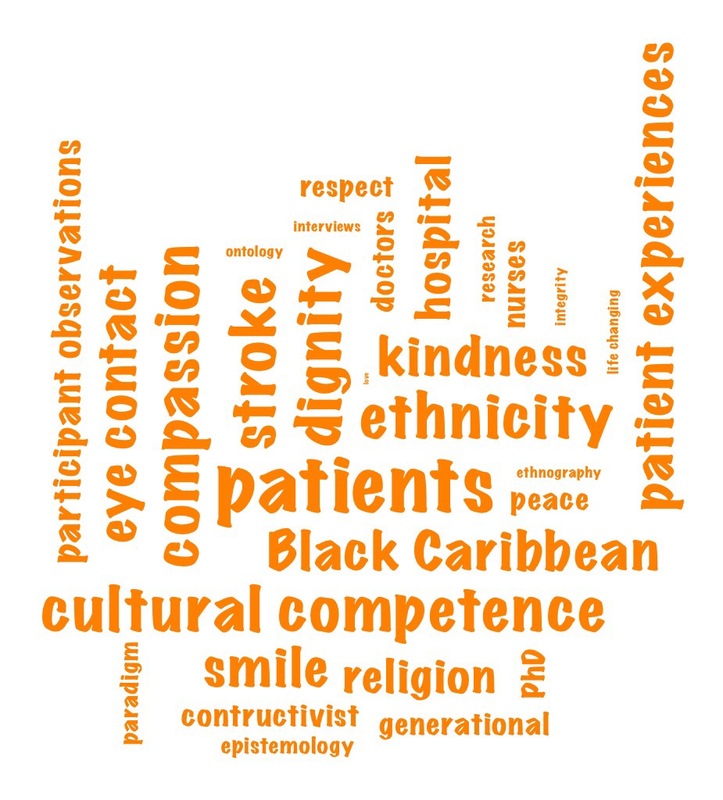 For me, I am privileged to work in an organisation in which the senior leadership team are now engaged in the compassionate care and cultural competence agenda. They really ‘get it’! We now need to build on this by working together to develop projects with the Organisational Development and Hospital Leadership teams to really put the organisational values into practice. Yes, we intend to change lives! We will work together to change the lives of our patients, our staff and the local community. This is even more important when you reflect on the fact that we work in two of the most ethnically diverse London boroughs – there are more Black and Minority Ethnic (BME) people than those who describe themselves as White! Following my first joint PhD supervision this week, I was really challenged by the discussions and ultimately motivated to capture my plans in the word cloud below. My challenge to myself and others is to be confident in life. Strive for what you believe in and you will succeed. Surround yourself with people who believe in you and will challenge you to do better. Look out for the ‘why not’ moments in life. They’re all around if we change our worldview or paradigm. Thanks for sticking with me on this journey of self-discovery. The journey is always more important than the destination. It is not an easy road, however there is always hope. I leave you with an inspirational quote from Barack Obama – “Hope in the face of difficulty, hope in the face of adversity. The audacity of hope”. Let’s be audacious together! Until next time, peace, love and respect to all! Previous Post Hospital Experiences of a Passionate Nurse Researcher / Manager…One month into secondment!